Cape George Point Lighthouse is situated at Cape George Point in the Northumberland Shore region overlooking the waters of St. George’s Bay. Cape Breton Island and Prince Edward Island can be seen on a clear day. 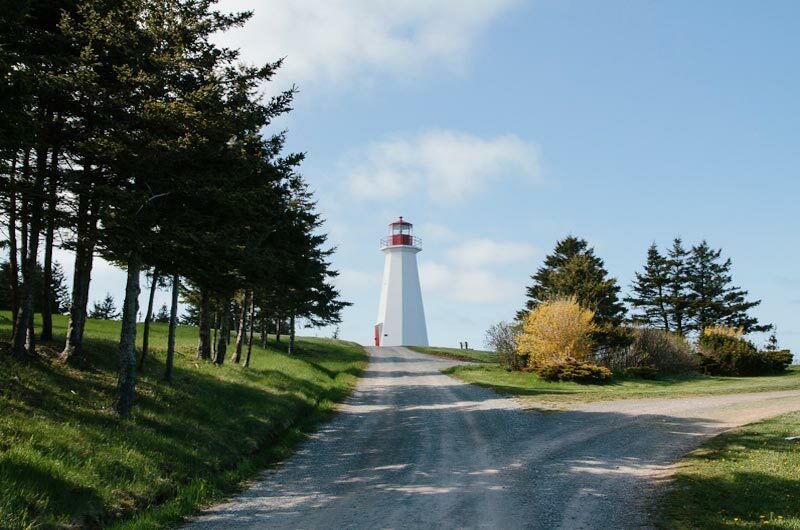 The lighthouse sits atop a high cliff and guides vessels into St. George’s Bay. The original lighthouse was erected in 1861 and was destroyed by fire in 1907. The present lighthouse is the third one located on this site which was built in 1968. Interpretive panels are on site. Cape George Point Lighthouse is one of three trailheads for the Cape George Hiking Trail network.